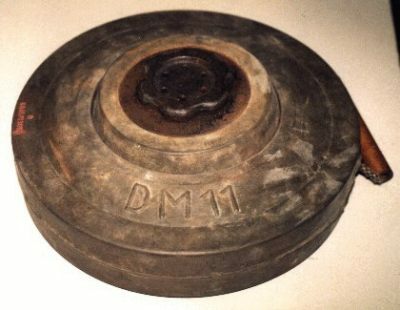 Like the DM11 antipersonell, the A/T mine DM11 was also produced in under license Germany. It was originally developed by the French company Alsetex. In Germany, it was manufactured by "Verwertchemie Liebenau". 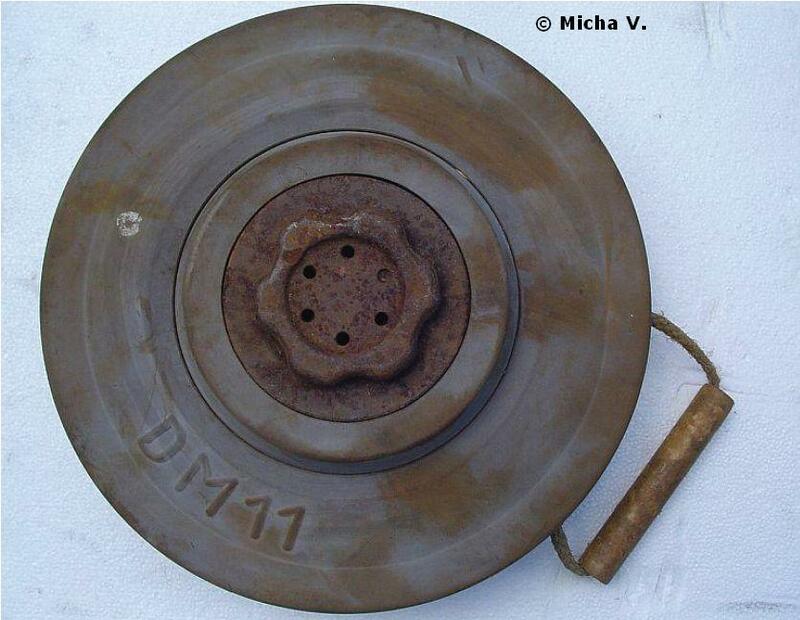 The German army ordered these mines in the period of 1985 -1962. For use with the secondary fuze wells, trap fuzes were issued. 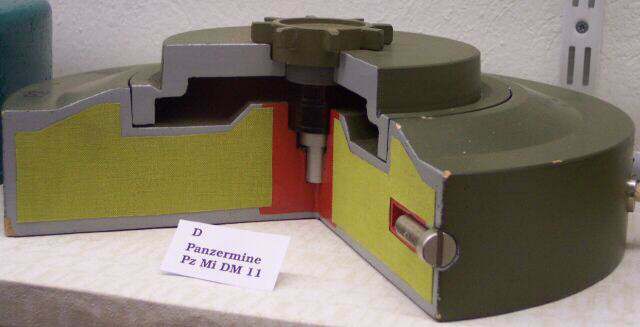 Pull-fuze DM77 or release-fuze DM39.